So I've jumped on the flocking powder bang wagon. I've been seeing these sweater-like textured nails for quite some time and I finally decided to try them out for myself. Want the step by step on how to get this look? 1. 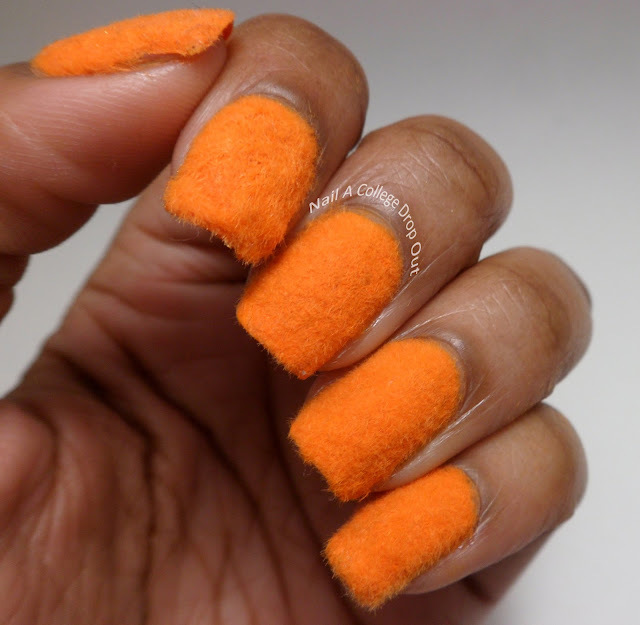 Paint your nails two coats of a color similar to your flocking powder and let dry. 3. Pour flocking powder on wet nails. I recommend doing steps two and three one nail at a time. 4. Enjoy your newly textured nails. Want to know where to buy yourself some flocking powder? Sure you do! Go to BornPrettyStore.com and find the 1pc Fun Flocking Powder Manicure Nail Art Polish (retails for $5.80 and is available in 14 colors by the way ) and add it to your cart. Seems simple enough right? Well it gets better! Enter code NCL91at checkout for 10% off your Born Pretty Store purchase. Triangles Made From Stripes? Yes. Oh, I'll Glitz Your Bitz Alright!